11,000 years ago, a Syrian community began a practice which would change man’s relationship with his surroundings forever: the initiation of cereal domestication and, with it, the commencement of agriculture, a process which lasted several millennia. 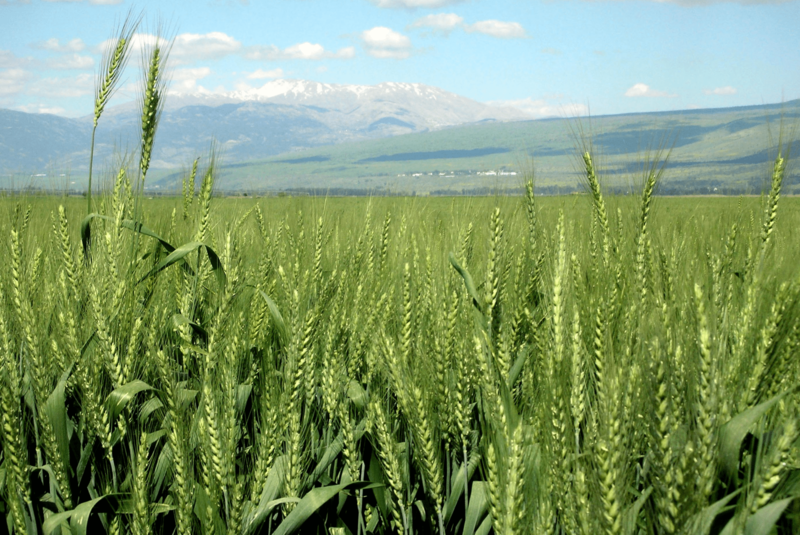 The discoveries, made at the Tell Qarassa North archaeological site, situated near the city of Sweida in Syria, are the oldest evidence of the domestication of three species of cereal: one of barley and two of wheat (spelt and farrow). The team from the Spanish National Research Council (CSIC) and the Universities of Cantabria and the Basque Country (both in northern Spain) was led by CSIC’s Juan José Ibáñez, and excavated in the area between 2009 and 2010. Scientific investigators from the Universities of Copenhagen and London also collaborated in the study which is published in the latest edition of the magazine Proceedings of the National Academy of Sciences (PNAS). The Neolithic man in question lived at a time of huge changes. They gathered wild wheat and barley and gradually began the process of domesticating them. That is to say, they began to build a local economy based around controlling the reproduction of the foods they ate. Although it was already known that cereal breeding took place in the Near East, it was not known whether the first domesticated cereals appeared in one region or in several regions simultaneously, or, if the first case were true, in which region. “The process began when hunter gatherer communities started collecting wild cereals, leading in turn to these wild cereals being sown, then reaped using sickles. This initial crop husbandry led to the selective breeding of cereal grains. Gradually, domestic traits became more and more dominant”, explains Ibañez. To be precise, it is this work at Tell Qarrassa which allows samples of cereals from the very first phase in the domestication process to be identified. Of all the cereals which were grown at the site, around 30% show domestic traits whilst the remainder continue to show traits which are characteristic of wild cereals. “We now know that the cereals from Tell Qarassa were sown in autumn and harvested in February and March, before reaching full maturity to prevent the risk- given that they were still partially wild- of heads breaking off and being lost at harvest. The crop was cut close to the ground so as to make full use of the straw and, once collected, it would be thrashed and the grain cleaned in the courtyards outside their homes before being stored inside. Prior to being eaten, the grain was crushed in a mortar and pestle then ground in hand mills”, explains the CSIC investigator. The information obtained at Tell Qarassa shows both the advanced level of technical development of these first farming communities and also that the domestication process of cereals unfolded at varying rates in the different regions of the Near East. “It has yet to be discovered whether the later appearance of domesticated cereals in these regions was due to the use of those cereals originating in the south of Syria which we have been studying, or whether other independent domestication processes took place elsewhere”, concludes Ibañez.